(Mulder): "...Witnesses described them as primitive-looking men with red, piercing eyes. Became known as the 'mothmen.' I got an X-File dating back to 1952 on it.."
(Scully): "What would that be filed next to, the Cockroach That Ate Cincinnati?" Attention Greater Cincinnati area! An X-Files course! NKU's Community Education Department is offering a course on the X-Files Tuesday, July 21, 7-9:30 p.m. at a cost of $19 on the Covington Campus. The presenter is P. Andrew Miller, English instructor & sci fi writer, who teaches at NKU and Raymond Walters. The title of the course is "Mythology of the X-Files: Is there truth out there?" View the upcoming X-Files movie trailer -- coming this summer! X-Files characters answer the eternal question: Why did the chicken cross the road? 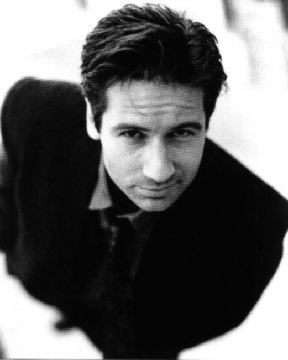 21 Reasons why you should watch the X-Files. Top Ten X-File crossovers we'd most like to see. X-Fools - this is an entire site which parodies the X-Files. The Sev Files: cartoon spoof of The X-Files. The XXY-Files is "a frenetic, eclectic parody of The X-Files." An extremely impressive site, SFW (Sci-Fi Web) X-aminer is intelligent, entertaining and has a handsome user interface. The X-Files Multimedia Archive has desktop themes, images, videos, sounds, fanfic, links, screen savers -- the list goes on! X-Files Fun -- Pictures, Merchandise, etc. I saw this quote on the FB*'s page: "Use of the NAME, INITIALS, or SEAL of the FBI is restricted by law and may be used only with written permission of the FBI." Well, they didn't say I couldn't use their URL: http://www.fbi.gov/. 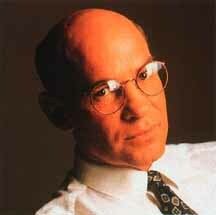 DISCLAIMER: FOX Network owns the X-Files. No copyright infringement is intended and no money is being made from the use of these characters. email me: diesmanj@nku.edu or give me some feedback!